Music to help commemorate the 79th anniversary of Kristallnacht, November 9, 1938. 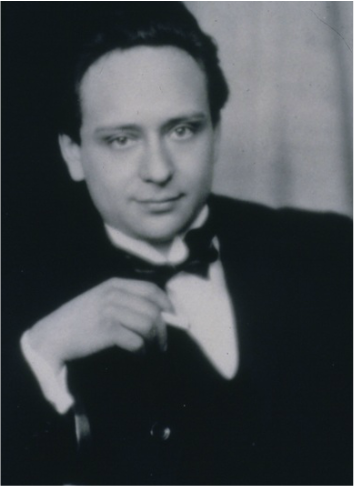 “Viktor Ullman was pictured at the fiftieth birthday party of his teacher and mentor Arnold Schoenberg. His Third String Quartet (Terezín 1944) opens with a lush romanticism reminiscent of Schoenberg’s Verklärte Nacht (Transfigured Night). Its transformation, though, is not to transcendent joy, but to fear and despair. . . . Violinists Glen Cherry, Miguel Perez-Espejo Cardenas, violist Kathryn Sievers, and cellist Joel Moerschel gave a tremendous reading. . . .
YOU ARE LISTENING to the first movement of String Quartet No. 3, Op. 46, composed in Terezín by Viktor Ullmann, a prolific Czech artist who perished in Auschwitz. Ullmann completed this work on January 18, 1943, when he was about 43 years old. This Quartet is widely regarded as the instrumental masterpiece of Ullmann's Terezín period. It is performed here by the Hawthorne String Quartet on the CD "Concert for Terezin," produced in 2002 by TMF and Turquoise Bee Productions as a benefit for Terezín flood relief. On September 8, 1942, Ullmann was deported to Terezín. At that time his list of works had reached 41 opus numbers and included three additional piano sonatas, song cycles, operas, and the piano concerto Op. 25, which he finished in 1939, nine months after the Nazis entered Prague. In Terezín, Ullmann was a major cultural force as a composer, pianist, and mentor. He also organized a chamber music series, The Studio for Neue Musik, showcasing music of twentieth-century masters, such as Schönberg, Zemlinsky, and Haba, alongside works of his imprisoned colleagues. On October 16, 1944, Ullmann was deported to Auschwitz; he was killed in the gas chambers there on October 18.